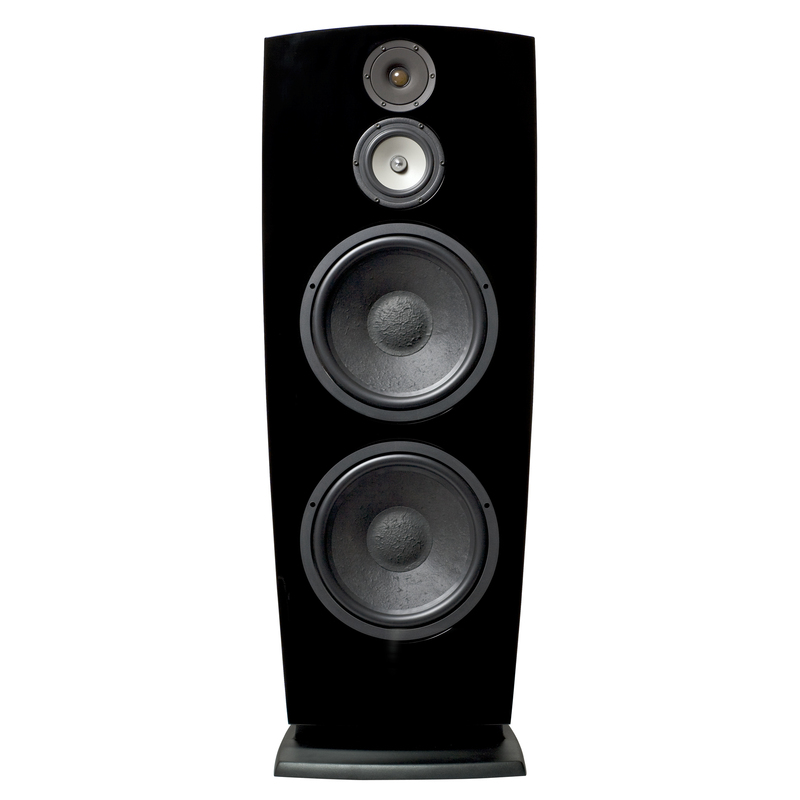 A smaller, more affordable version of the Jamo R 909, the new R 907 tower speaker is similarly designed for the true audiophile but designed to work in situations where space is at a premium. Like the R 909, the R 907 features dipolar engineering, which means that the sound is distributed from both the front and the back of the speaker. 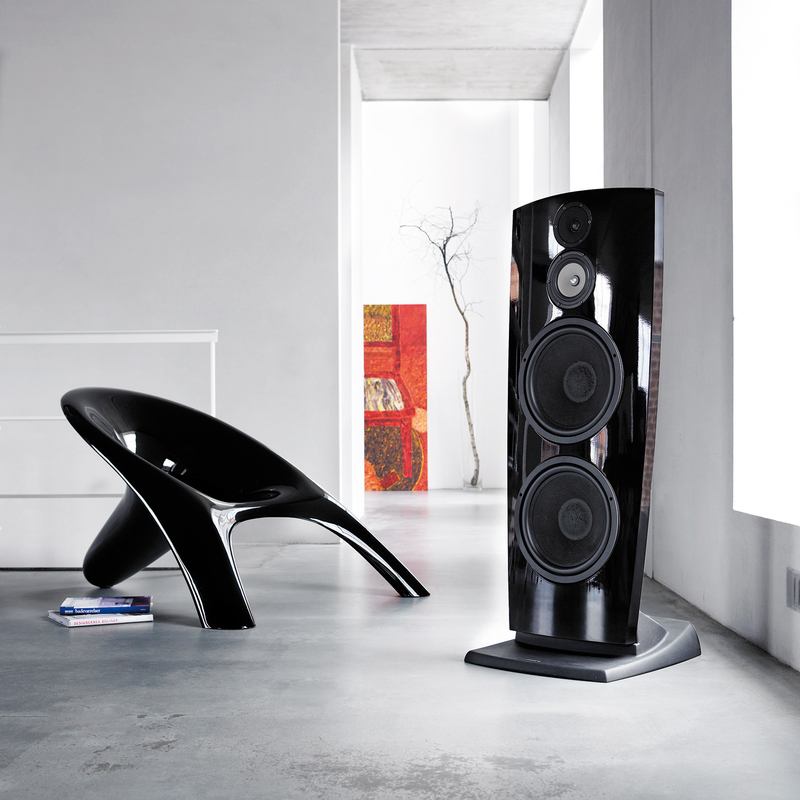 The reflected sound from the rear adds ambience and gives the impression of a much larger room in other words, a more lifelike live performance sound. By using dual 12-inch woofers, rather than the 15-inch drivers found in the R 909, Jamo engineers were able to make the R 907 shorter and slimmer than the larger model, making it ideal for smaller living spaces. 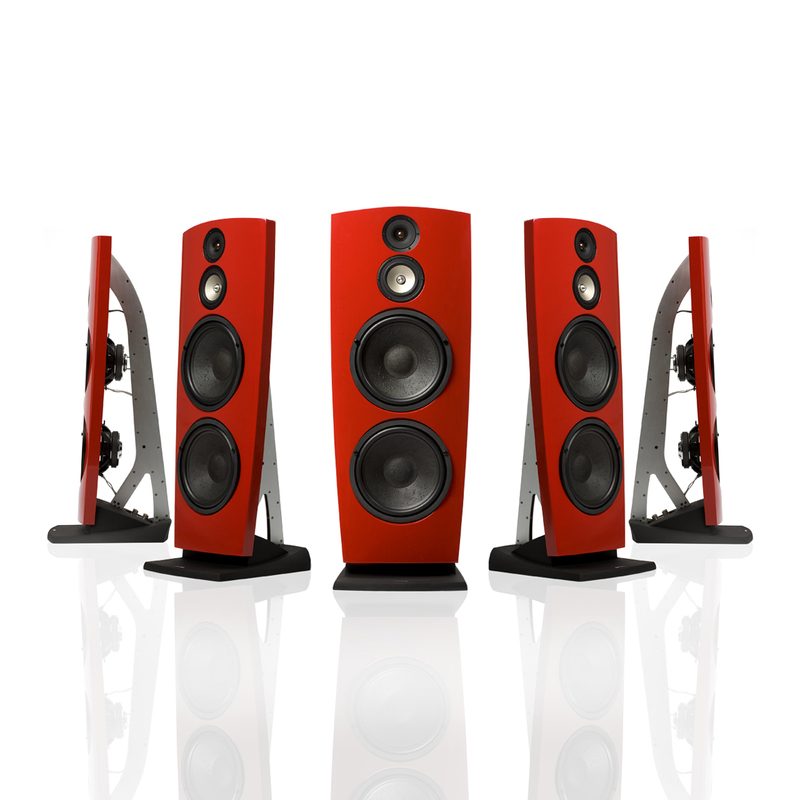 Available in striking high-gloss red or black finishes, the R 907 is sure to attract attention not only for its unique design, but for its incredibly detailed sound reproduction. The open design also allows you to see the quality components that make the Jamo R 907 so remarkable: two 12-inch woofers, the Hard Conical Cone midrange driver and the premium tweeter. From deep, precise bass to startlingly concert-like vocals, we've spared no expense to deliver sound in its purest form. The Jamo development team was given a mission: to "translate" the design and the acoustic characteristics of the R 909 into a new, less space-demanding speaker. Jamo R 907 achieves that mission brilliantly. Like its bigger brother, the R 907's sound quality is very open and dynamic with extremely low distortion throughout the entire range. 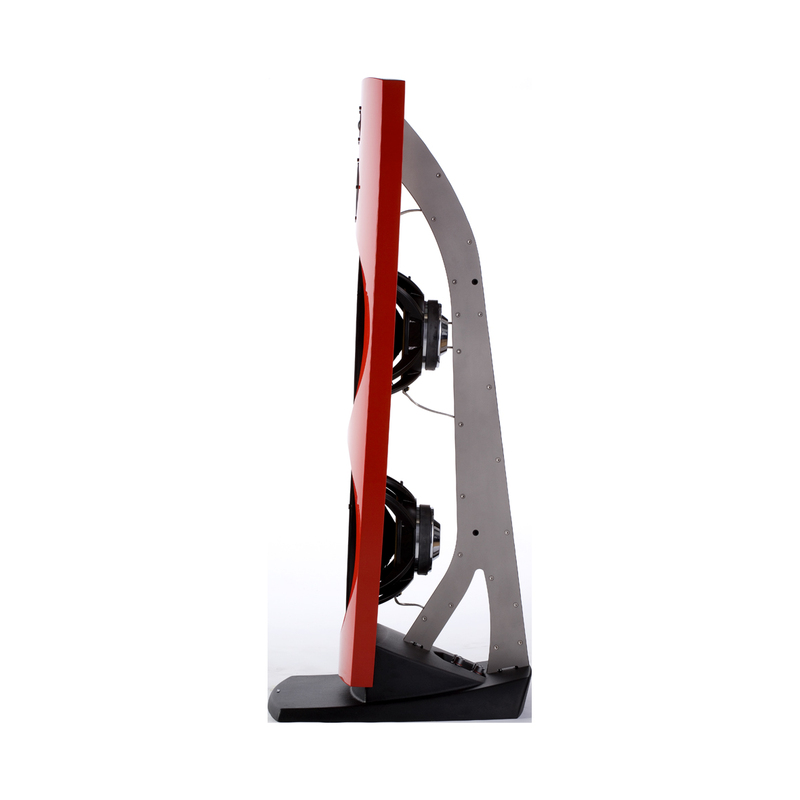 It features a highly-detailed midrange with optimal voice reproduction, and a firm, powerful precise bass, unmatched by mass-produced dipolar speakers. 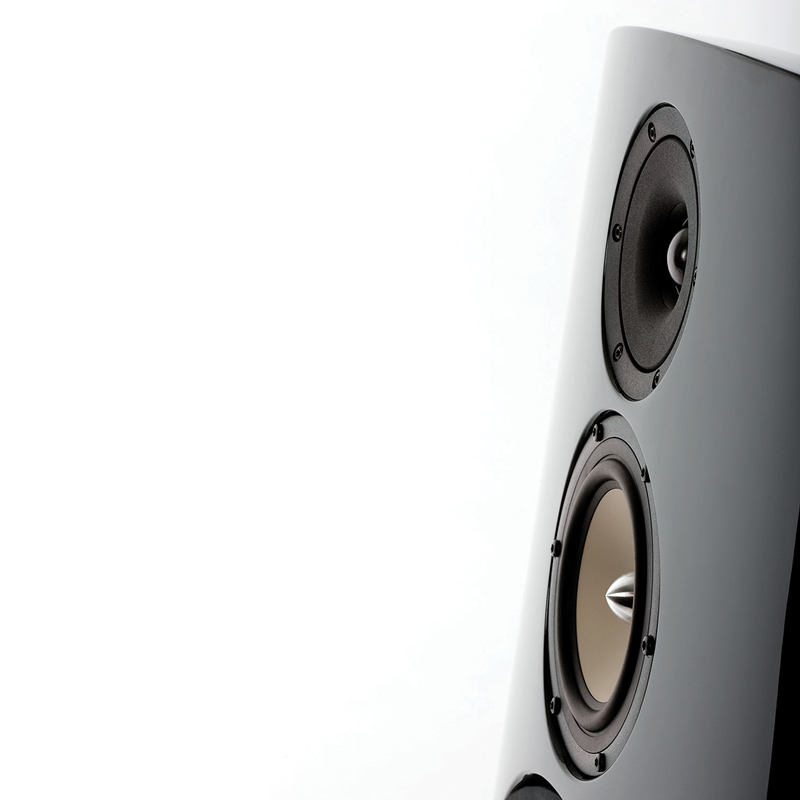 The Reference Series offers beautifully shaped sculptures with superior power handling and sound. 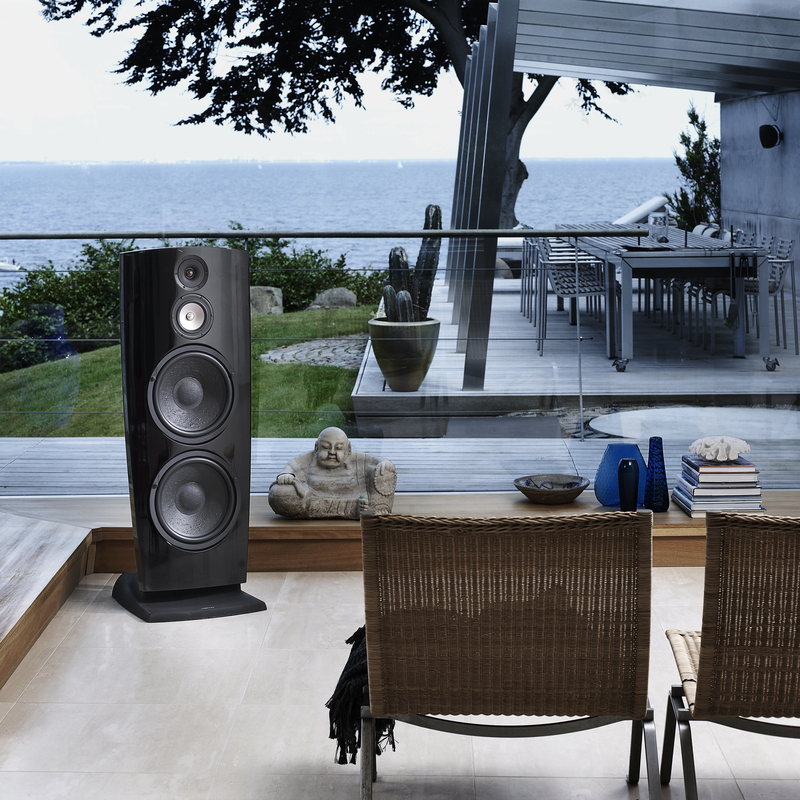 With their refined sound they are, without a doubt, designed exclusively for the increasing number of people who prefer high end speakers that deliver perfect two-channel sound. Dipolar loudspeakers have existed for many years; most of them have been electrostatic designs. However, electrostatic technology has one significant drawback: bass frequency reproduction is often compromised. They simply aren't able to produce the characteristic physical bass 'thwack' you feel in your midriff. 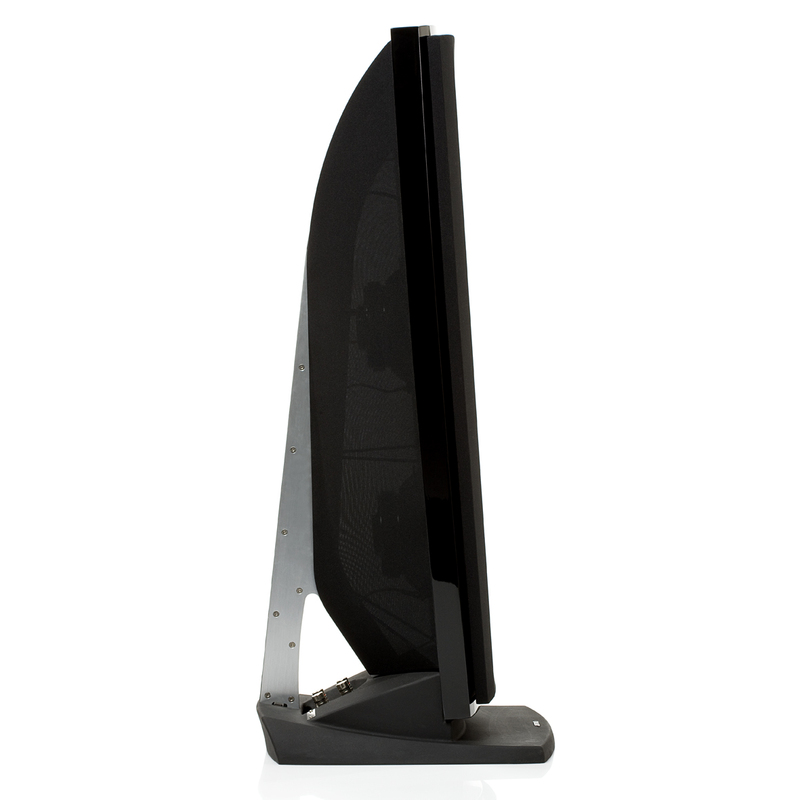 The Jamo Reference R 907 audio tower uses electrodynamic speakers instead of electrostatics and the results are amazing. 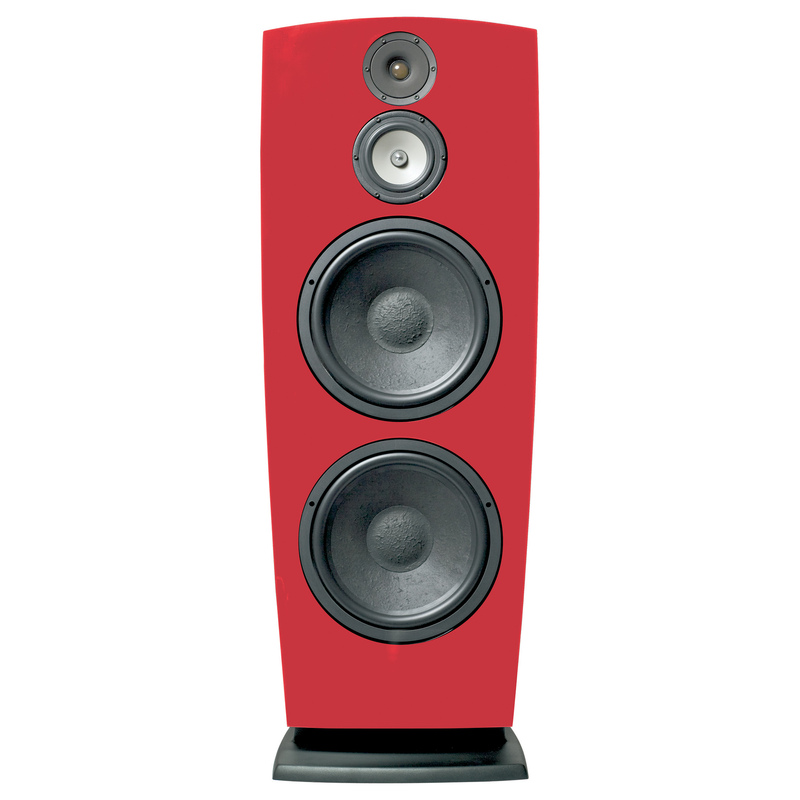 The exceptionally firm, deep bass and concert-like high end dynamics put you in the middle of the soundstage. The R 907 is the perfect match for the highest quality amplifiers on the market. However, with 89dB sensitivity and very stable load at 4 ohms, it doesn't need huge power to drive it'although it will handle up to 500 watts of peak power. The open design and drivers reproduce wonderfully transparent vocals and a response so dynamic that it's hard to believe you're listening to a speaker. The exceptionally firm bass provides excellent transient speed, precision and fluidity throughout the frequency range with no coloration or reverberation. Like our flagship R 909, the Jamo Reference R 907 makes music come alive in ways you've never experienced before.